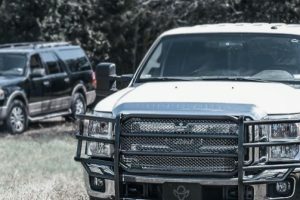 Sound Depot & Performance offers the highest quality automotive entertainment and safety electronics, truck accessories, marine audio and premium window tinting services to the Gainesville and surrounding markets. We pride ourselves on our unwavering commitment to excellence and exceptional customer service. Here at Sound Depot & Performance, our motto is “Your Ride is Our Pride.” To that end, there is no business who takes better care of you and your vehicle. It’s not just something we say; it’s something we deeply believe and put to work each and every day. 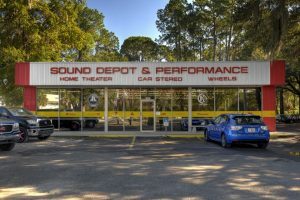 Sound Depot & Performance has been proudly serving the greater Gainesville area since 1998 and from the start our core values place a high value on our customers’ complete satisfaction. We’ve been fortunate to grow and expand into our present 3800 square foot location that’s home to our 12 dedicated team members available to serve you Monday-Saturday. We’ve received multiple awards from an industry trade publication as an ME-Magazine Top 12 Retailer in the country. Our valued customers often recommend us to friends, colleagues and family. They write favorable reviews of us online. 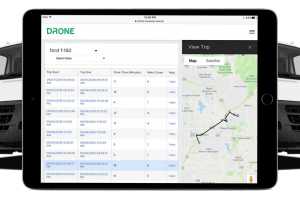 When we say we put the customer’s first, we mean it. It’s been the backbone of our success and continues to be the driving force to our continued service to our valued clientele. Call or come visit us today for a no obligation consultation and thorough demonstration of your automotive, marine or powersports needs. We work on all types of vehicles and boats and have a generous warranty and upgrade policy as your needs evolve. Our talented installation staff has years of experience in the highest quality installation processes, including rapid diagnosis of problems you may currently be experience that bring you in for your first visit. 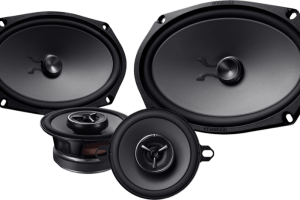 Combined with our extremely knowledgeable product specialists, the entire team strives to make your positive experience with Sound Depot & Performance unequalled.